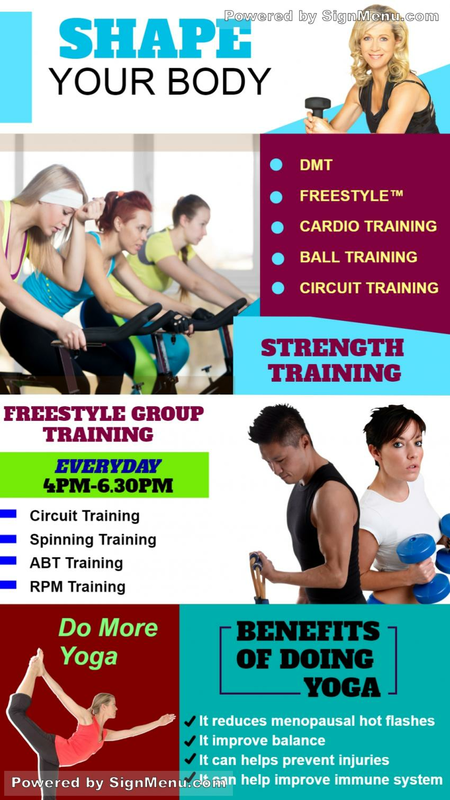 This template showcases the services of a fitness center. Please note the mix of colors on the template to highlight different types of services. You too can use a template like this to showcase your gym services. Digital signage advertising is perceived as the best form of in-house advertising in recent years. with much better visual appeals and customer engagement. Digital signage screens today not only add value to the business, but impacts positively in it's bottom line as well. This template is ready for download and use.